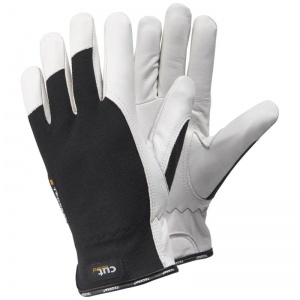 Featuring a flexible yet strong full-grain leather design that is reinforced with Kevlar fibres, the Ejendals Tegera 815 Level B Cut Resistant Gloves offer a highly practical combination of protection and comfort. 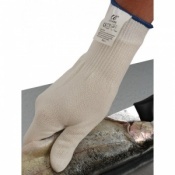 With good fingertip sensitivity, these gloves are also suitable for precision handling tasks, while their Kevlar thread allows them to be used comfortably when dealing with hot items. The Ejendals Tegera 815 Gloves are available in several different sizes. Please consult the table below for details and select the size you require from the drop-down menu above.